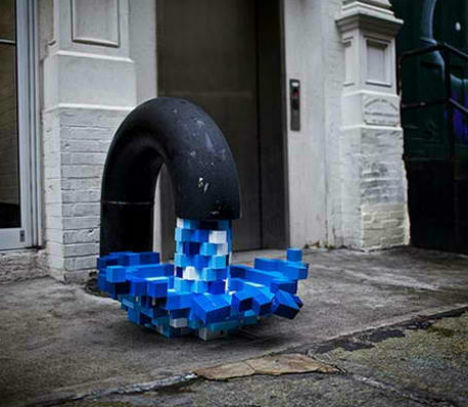 Here’s a beautiful example of how street art can transform the most mundane, uninteresting sidewalk into a miniature gallery that captures the attention of harried passersby. 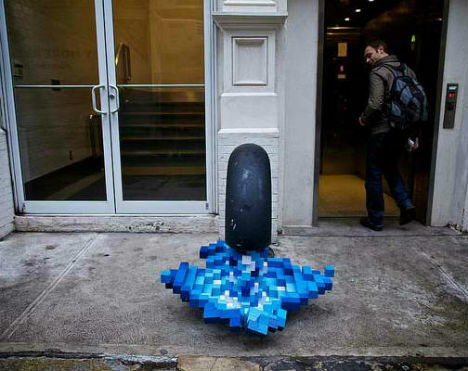 A black faucet on Mercer Street in New York City ‘pours’ what looks like a digital, pixelated stream of water in an installation known as ‘Pixel Pour 2.0‘. 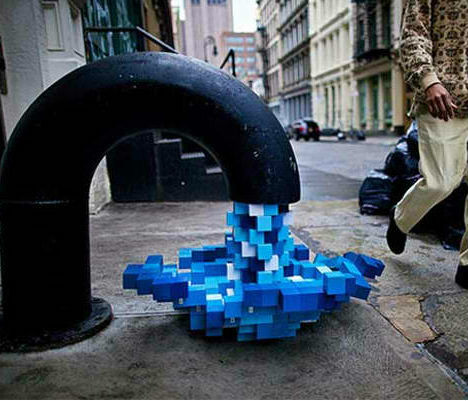 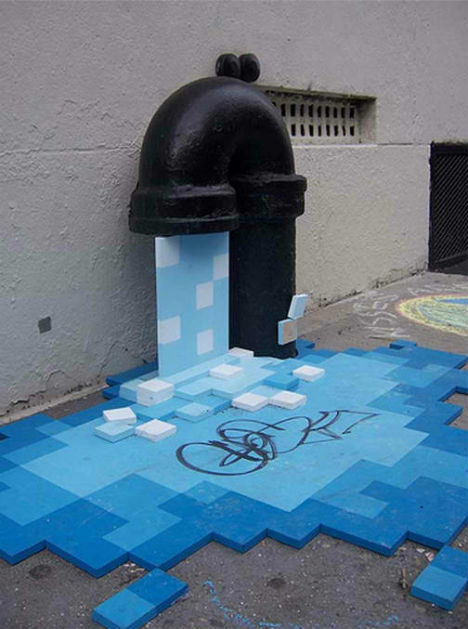 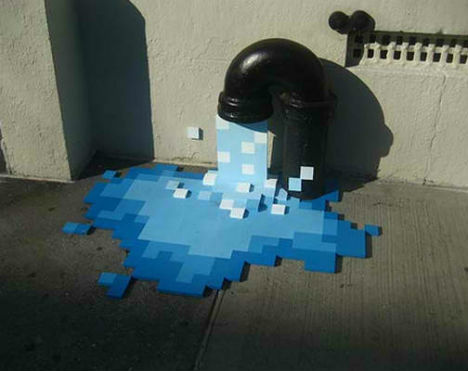 This three-dimensional installation appears to be either the work of artist Kelly Goeller of //kneeon, who produced a very similar installation called ‘Pixel Pour‘ back in 2008, or someone inspired by that work. 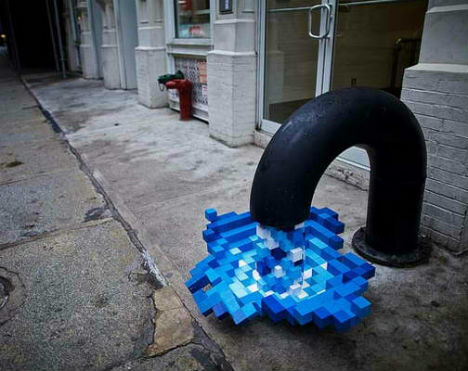 The installation was spotted and photographed by gnom3sayin – see more photos at Flickr.